Plug in Electric Vehicle (PEVs) in their first 2½ years on the market have seen about double the sales of hybrid electric vehicles 2½ years after they made their debut in 2000, according to a new report. 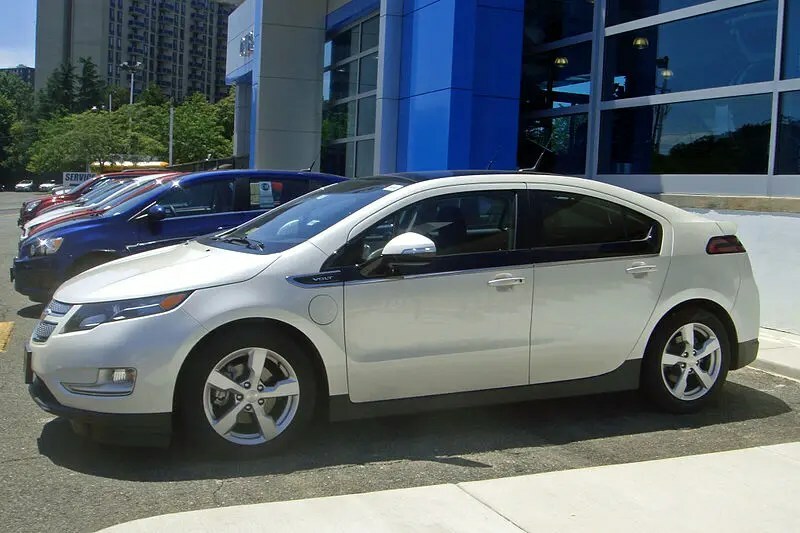 An Electrification Coalition and Price Waterhouse Coopers study, “State of the Plug-in Electric Vehicle,” finds that PEVs — including Tesla’s Model S, GM Chevy Volt, and the Nissan Leaf — have dominated EV sales. More than 110,000 plug-in vehicles have been sold since January 2011. EV sales in 2013 alone have increased 100% in the first half of 2013, compared to the first six months a year earlier. Besides firmer sales, PEVs are also finding bigger traction within their submarkets. Tesla’s Model S has already taken 8.4% of the luxury market. In fact, the Tesla Model S has outsold other models within the luxury group including: BMW 7-Series, Mercedes S Class, and Audi 8. Similarly, but not to such an extent, Nissan’s Leaf has a small yet steady 3.3% sub-compact market share. “The research shows that consumers love their electric vehicles and that EVs are well on their way to establishing a meaningful position in the overall automobile market,” said President and CEO of the Electrification Coalition Robbie Diamond. “Electric vehicles are the key to reducing America’s dangerous dependence on oil, and their strong early sales and earned consumer satisfaction bode well for improving our nation’s energy security in the years ahead. However, we continue to believe that public policy, including greater funding for research and development, should play a stronger role in supporting this vital technology,” he said. Meanwhile, the price of EV batteries is expected to decline by nearly 50% by the end of this decade, with an industry cost between $300–$325 per kilowatt-hour. Between 2010 and 2012, EV battery costs alone dropped by 40%. This report was the first collaboration between the Electrification Coalition and Price Waterhouse Coopers in analyzing the EV market. One will wonder in a year’s time, or when the next analysis comes out, what new trends and adjustments will occur. Given the ongoing advancement in technologies, it would not be surprising if vehicles like the Tesla Model S and Nissan Leaf continue their climb within the overall automobile marketplace. What are the fastest Green Cars? What’s the difference between a flow battery and a Tesla battery? And what about lithium-ion batteries?